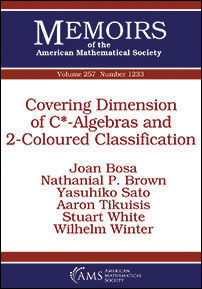 The authors introduce the concept of finitely coloured equivalence for unital \(^*\)-homomorphisms between \(\mathrm C^*\)-algebras, for which unitary equivalence is the \(1\)-coloured case. They use this notion to classify \(^*\)-homomorphisms from separable, unital, nuclear \(\mathrm C^*\)-algebras into ultrapowers of simple, unital, nuclear, \(\mathcal Z\)-stable \(\mathrm C^*\)-algebras with compact extremal trace space up to \(2\)-coloured equivalence by their behaviour on traces; this is based on a \(1\)-coloured classification theorem for certain order zero maps, also in terms of tracial data. As an application the authors calculate the nuclear dimension of non-AF, simple, separable, unital, nuclear, \(\mathcal Z\)-stable \(\mathrm C^*\)-algebras with compact extremal trace space: it is 1. In the case that the extremal trace space also has finite topological covering dimension, this confirms the remaining open implication of the Toms-Winter conjecture. Inspired by homotopy-rigidity theorems in geometry and topology, the authors derive a “homotopy equivalence implies isomorphism” result for large classes of \(\mathrm C^*\)-algebras with finite nuclear dimension.